The most popular of the midsize/compact pickups, the Toyota Tacoma is one of the few left in this category. 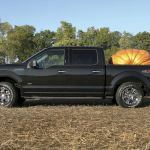 Other competitors are now members of the midsize category, rather than being labeled â€œcompact.â€ Named â€œMost Dependable Midsize Pickupâ€ by J.D.Â Power & Associates in its 2011 Vehicle Dependability Study, and Intellichoiceâ€™s â€œ2011 Best Overall Valueâ€ in the compact pickup segment,. Tacoma is available in many iterations Toyota Tacoma can be had in these versions: Regular Cab 2.7-liter L4 5-speed manual with 4-speed automatic; Access Cab 5M with 4A; Double Cab 4A, PreRunner Access Cab 4A; PreRunner V6 Access Cab with 5A; X-Runner V6 Access Cab 6M; PreRunner L4 Double Cab 4A; PreRunner V6 Double Cab 5A; PreRunner Long Bed V6 Double Cab 5A; 4WD Regular Cab L4 5M; 4WD Regular Cab L4 4A; 4WD Access Cab L4 5M; 4WD Access Cab L4 4A; 4WD V6 Access Cab 6M; 4WD V6 Access Cab 5A; 4WD V6 Double Cab 6M; 4WD V6 Double Cab 5A; 4WD V6 Long Bed Double Cab 5A.Â Tacoma offers many amenities and is a desirable truck to have around as a daily driver. One not familiar with 21st century pickups would be surprised to hear this, but these vehicles are picking up speed with buyers due to their comfortable cabs, refined ride and quality construction. This writer did not have the opportunity to take the 2014 Tacoma off-road but know it would not disappoint. What we did appreciate is the cabâ€™s generous rear seating, good quality materials in its interior, and the fact that it can tow up to 6,500 lbs. It is reported that Toyota sells more than 100,000 Tacomas a year. Because of this fact, no doubt, other manufacturers have left the small pickup market in the U.S. Lack of demand killed the Dodge Dakota, Suzuki models and Ford Ranger. Soon to be gone, probably, will be the likes of the Nissan Frontier, Chevy Colorado, and GMC Canyon Redesigned in 2005, Tacoma was also given a new interior and on the outside in 2012. The pickup also received a Limited Package, with 18-inch chrome alloy wheels, chrome grille and rear bumper, metallic instrument panel, leather-wrapped steering wheel with audio controls, HomeLink transceiver, rearview camera display and outside temperature gauge, among other things. Many more configurations were added in the 2013 model year, each offering a lot of durability and reliability. Double Cabs have six-speaker audio systems, and the V6 models offer a premium JBL system with amplified subwoofer, Bluetooth, XM, and Toyota Entune.Â The audio upgrade includes steering wheel controls.Â An option on our Double Cab version, the Entune Premium includes the JBL audio with navigation and App Suite, Entune multimedia bundle, high resolution touch-screen w/split screen display, AM/FM/CD player with MPE /WMA playbook capability, subwoofer, auxuiliary audio Jack, SUB, 2.0 port with iPod connectivity and control, Advanced voice recognition, hands-free phone capability, phone book access, music streaming via Bluetooth wireless, HD radio, predictive traffic/dopplar weather overlay, AM/FM/Cache radio, SiriusXM radio, gracenotes album cover art, integrated backup camera display ($2,330). The Toyota Tacoma climate and audio controls are very small and seem almost old-style; Larger ones would probably fit most menâ€™s fingers better and be easier for all drivers to operate. The display screen is almost on the small side, but adequate. All-in-all, Tacomaâ€™s IP is simple, functional and attractive, but not fancy or necessarily the latest in interior trim and design. Â The steering wheel, however, is more modern and features a rectangular hub, dark-colored spokes, and brushed-metal-look spokes. The audio can be operated from the wheel, as in most vehicles today. Our Double Cabs 4×4 V-6 model sported a somewhat more high-tech display audio system with the latest in digital technology, much of it beyond this writerâ€™s knowledge. Nonetheless, fairly simple to understand, the Entune services, XM Satellite Radio (with 90-day trial subscription), and nav were easily figured out. Our TRD model came with water-resistant seat fabric, which was attractively presented in two tones. Available in all Access and Double Cabs is also heavy-duty all-weather flooring. The lower dash and console are a lighter color than the main upper dash. The driver can adjust his/her seat height, manually. Overall, the Tacoma provides the driver with a good driving position, and has large mirrors.Â For rear seats, those in the Tacoma Double Cab are comfortable (for a pickup, should we say? ); leg room is adequate and headroom can accommodate tall passengers. One can also tote cargo in the rear seats when they fold down. We also like the center window that opens for air. The Toyota Tacoma drives well and cruises nicely.Â It offers plenty of power from the V6.Â It handles well and feels relatively refined.Â We really enjoyed driving the new 2014 Tacoma Double Cab all week and hated to relinquish it. The automatic V-6 engine still deliver only a combined 18 mpg., but then that isnâ€™t surprising with the trucksâ€™ weight and large tires. Handling is good on most roads, coming off highway ramps, as well.Â The Tacoma feels steady and not too top heavy. Size can affect parking but then one has to remember he/she is driving a â€˜pickupâ€™ truck, not a sedan. The Toyota Tacoma is a very enjoyable midsize pickup, with lots of creature comforts.Â The 4WD models offer crisp handling, a nicely balanced ride quality. Engine: 4.0-l, DOHC V-6, 24-valve, VVT, 236 hp. EPA fuel economy: 16/21 mpg., avg. 18 mpg. 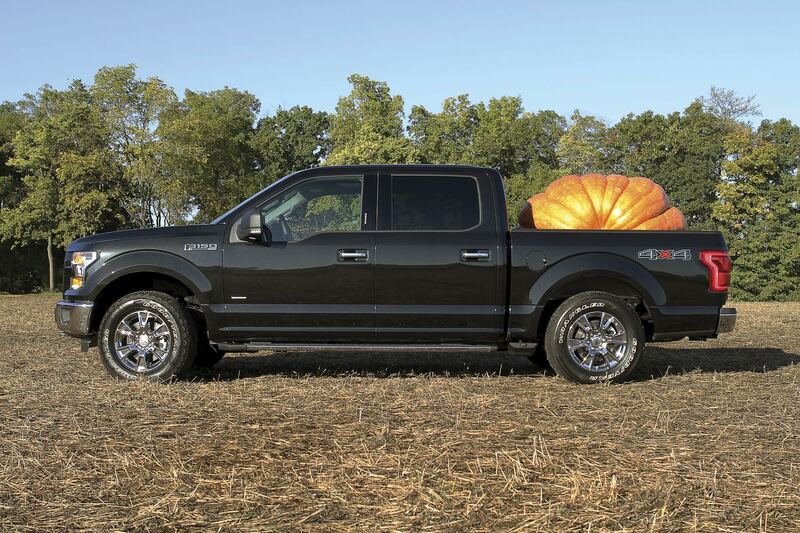 Ready to announce the new 2016 Ford F-150 SUV spurs global demand for SUVs: worldwide demand has increased 88 percent since 2008, making utility vehicles the fastest-growing segment around the world (IHS Automotive), now comprising 19 percent of the global vehicle market. Utility vehicles accounted for 23 percent of global sales for the Ford brand in 2013, up from 17 percent a year earlier. It is expected that utility vehicle sales will grow to 29 percent by 2020. Ford has been the best-selling utility vehicle in the U.S. Since 2011, Ford has been the best-selling utility brand in the U.S., with strong sales of Ford Escape, Edge, Explorer and Expedition. In addition to the introduction of the 2015 F-150, Ford will reveal a new version of the Ford Explorer and the 2014 Los Angeles Auto Show. What one sees when eyeing Toyotaâ€™s ever faithful off-road SUV the 4Runner is a vehicle that is â€˜datedâ€™ in styling. Built with body-on-frame construction, the 4Runner is a great off-road driver for those wanting to try their hand at driving through deep mud, rutted trails or up/down steep inclines. This writer is not aware of 4Runner sales in 2014, however, itâ€™s safe to say they are largely outsold by the ever-popular crossovers, such as Toyotaâ€™s own RAV4 and Venza. Much like other off-road vehicles (think FJ Cruiser, Xterra), short on styling, but who have a loyal following, the 4Runner retains a small following that praises its ability to do things the more popular CUVS canâ€™t or donâ€™t. With its ease of handling and four doors, the 4Runner is a very comfortable, large SUV that can be a daily driver. It navigates city streets well and doesnâ€™t give off a feeling of harshness. The 4Runner is fairly quiet and comes equipped with most modern amenities required today, such as Bluetooth, AM/FM/CD/Satellite audio with USB input. The 4Runner dropped its truck-based hardware and took on a wagon body, but remained with similar styling. Apparently, Toyota doesnâ€™t see the need to update its look or keep it up-to-date to attract new customers. The 4Runner doesnâ€™t make any statements that it does other than what it has always done, so no need to dress it differently. The 2014 4Runner interior isnâ€™t anything to write home about, but it is functional and pleasing. Knobs and controls are large and are outlined with metallic trim. For 2014, the 4Runner base (SR5, Trail) models receive more soft-touch trim and bright Optitron gauges. The 4Runner sports Toyotaâ€™s 4.0-liter V-6 engine, with 270 horsepower and 278 pound-feet of torque. It doesnâ€™t feel sluggish when entering traffic or traveling on highways. Fuel economy is estimated at 17/23 mpg for rear-drive models, and 17/22 mpg for four-wheel-drive versions, which isnâ€™t the best, but fairly respectable for an over 4,000-pound vehicle. Our test vehicle, the SR5 model came equipped with Toyotaâ€™s part-time 4WD system (Rear-wheel-drive available) The Trail versions are only offered with that 4WD system, with overhead controls. Limited models get a separate full-time four-wheel-drive system and rides on standard 20-inch wheels and tires. Standard tires on other models are 70R/17 inch. Other expected amenities include Hill Start Assist/Downhill Assist control, heated, power mirrors, and tilt-telescoping steering wheel, six-way power driverâ€™s seat, reclining, floor-flat second row seating, rearview camera and power door locks. The 4Runnerâ€™s sound system, with 8 speakers is good. Two options came on our test SR5: Carpet floor mat/cargo mat ($225) and rigid running boards ($345). Although nothjng really special, the 4Runner doesnâ€™t disappoint. It remains a specific-type of vehicle, aimed at a specific customer base. It steers and maneuvers and despite its size, is not a difficult vehicle to handle. Visibility is decent. This driver couldnâ€™t come up with anything really distasteful about the 4Runner, just that it seems dated. EPA fuel economy: 17/23 mpg. Legendary funny car champion John Force now finds himself in the unique position of battling his daughter Courtney for the NHRA championship. While John, who has won the honor 16 times so far remains 30 points ahead of Courtney, standings of the NHRA’s premier Mello Yello Series there are still 3 events left to run before the season finale Nov. 13-16 in Pomona, and she could still turn it around to claim her first NHRA championship. This is the first time in time in funny car history that a father and daughter are 1st and 2nd second in the point standings. Both race for John Force’s Yorba Linda, California-based team. Courtney Force, 26, became the first woman to win back-to-back funny car races on Sunday when she defeated former Champ Matt Hagan in the NHRA Midwest Nationals at St. Louis this past Sunday. The victory also made her the first female driver to garner 4 funny car wins in one season. She now has 7 funny car wins overall (also a record for a woman) in just her second year in the series. “We got things turned around at the right time. Right here at the start of the Countdown to the Championship is when we need to have a consistent race car, and I think that’s what we’ve got so far. To have back-to-back wins and make a move in the Countdown is just huge for us. We need to create a gap between us and everyone behind us and climb our way up to catch dad if we want to win this championship. That’s what we have our eyes set on right now.” John Force, 65, is patriarch of a family racing team, that also includes daughters Brittany (now #10 in points in the Top Fuel Category), Ashley (retired) and son-in-law Robert Hight (husband of another daughter Adria Force), and president of John Force Racing.